Martin A. McCrory, Indiana University's associate vice president for the Office of the Vice President for Diversity, Equity and Multicultural Affairs and IU Bloomington's chief diversity officer and vice provost for educational inclusion and diversity, has announced his plan to step down from his administrative roles, effective May 15. McCrory will return to the faculty at the Kelley School of Business, where he has received multiple teaching awards, following a sabbatical period. John Nieto-Phillips, currently associate vice provost for faculty development and diversity and an associate professor of history and Latino studies, will assume the role of associate vice president and vice provost upon McCrory's departure. McCrory inaugurated the role of vice provost and associate vice president for the Office of the Vice President for Diversity, Equity and Multicultural Affairs in April 2013, having previously served as associate professor of business law and chair of Kelley's Undergraduate Honors Program. During his tenure at the office, McCrory worked closely with the Academic Support Centers and the Office of Mentoring and Leadership Development to create more mentoring and leadership programs for all IU students. He added on-site tutors to all campus cultural centers and to the offices of the Groups Scholars Program, 21st Century Scholars and the Hudson and Holland Scholars Program. He also oversaw funding increases for 21st Century Scholars and Groups Scholars, for which he dramatically increased funding from one year to all four years of enrollment. "Indiana University and the Bloomington campus are deeply grateful to Vice Provost McCrory for his leadership and service, and his unparalleled commitment to the academic success of underrepresented students," said Lauren Robel, IU Bloomington provost and executive vice president. "Martin has transformed the campus by enhancing our Groups and Hudson and Holland programs, and by creating new opportunities for students to thrive on our campus and become prepared for careers in a global, connected world." McCrory led the process that resulted in Indiana University Bloomington's two consecutive Higher Education Excellence in Diversity Awards from Insight Into Diversity magazine, in 2015 and 2016, and the 2017 Institutional Excellence Award from the National Association of Diversity Officers in Higher Education. On April 28, the Department of African American and Diaspora Studies honored McCrory with the 2017 Janice Wiggins Staff Mentor Award, given to one IU Bloomington faculty or staff member who provides superb mentoring to undergraduate students involved with the program. 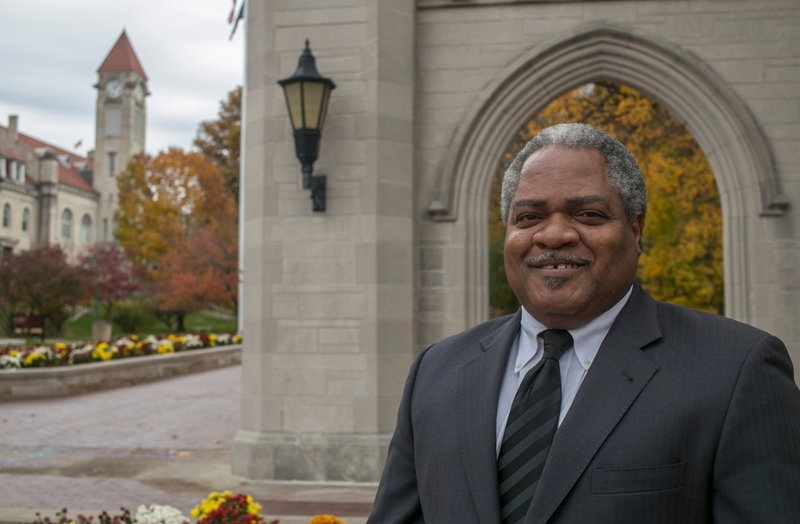 "I am truly honored to have worked alongside Martin as his leadership spearheaded a number of transformative initiatives that have created amazing new pathways for IU students," said James Wimbush, vice president for diversity, equity and multicultural affairs and dean of the University Graduate School. "Martin has been an invaluable colleague who has left a powerful legacy that will benefit students for generations to come." McCrory worked to create the Office of the Vice President for Diversity, Equity and Multicultural Affairs' Overseas Studies and Scholarship Program, and he played a key role in expanding the number of underrepresented students who traveled and studied abroad through custom programs to the Dominican Republic, Ghana, India and, launching this summer, Brazil. He has begun the process, along with the Office of the Vice President for International Affairs, to add South Africa to the list by the summer of 2018. In January 2016, in partnership with the Council on International Educational Exchange, McCrory led a program to give away free passports to 280 underrepresented students to help expose more first-generation, minority and low-income students to international experience. "I am extremely proud of my team and what we've been able to accomplish for Indiana University students, faculty and staff," McCrory said. "Any success was only made possible through partnerships with our deans, administrators and vice provosts and their excellent staffs. My return to Kelley will allow me to continue and increase partnerships and research collaborations throughout the campus." After graduating from IU Bloomington with a B.A. in forensics in 1980 and a J.D. from the Maurer School of Law in 1983, McCrory worked professionally as assistant corporation counsel for the City of Indianapolis-Marion County Legal Division; deputy attorney general for the State of Indiana; trial attorney for the U.S. Department of Justice; and program director/coordinator of public health program and senior attorney for the Natural Resources Defense Council. McCrory joined the faculty of the Kelley School of Business in 1995. A renowned researcher and published scholar, he also received numerous honors for his teaching and for creating innovative programming. He served as the chair of the undergraduate honors program and was an Arcelor-Mittal faculty fellow for business law and ethics at the Kelley School of Business before accepting his roles in university leadership.